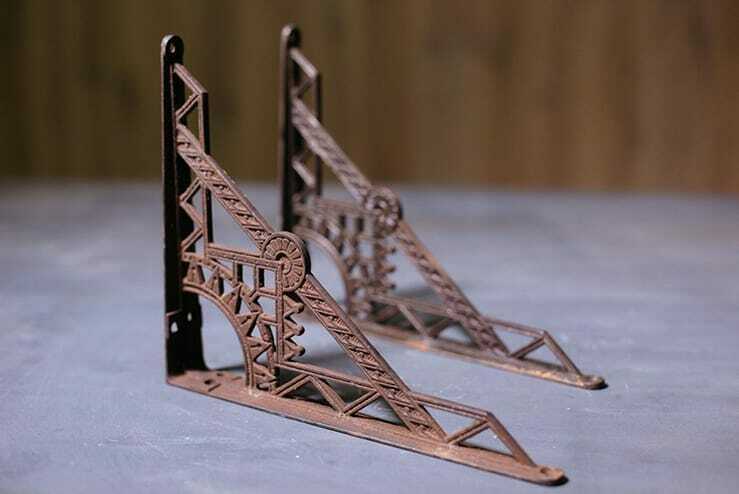 Pair of cast iron Aesthetic shelf brackets. Elaborate embellishments cover the surface and epitomize the Victorian-era design movement. 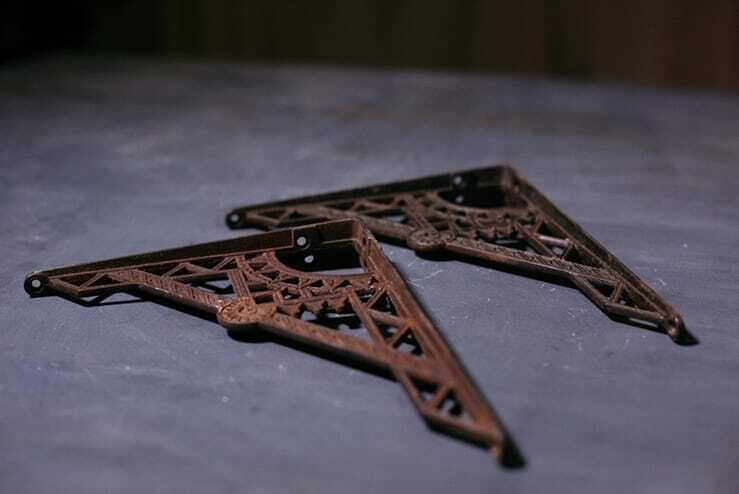 Aestheticism championed beauty for beauty’s sake and even humble hardware was elevated with enchanting details.